Back in the early 60s my mom had her hair done every Saturday morning at the beauty parlor. This was the era when stylish women had their hair teased within an inch of its life and my mom was definitely a stylish woman. After all, she was a secretary. Dad worked on Saturdays selling cars so this meant mom and me would head to the beauty party together. I would amuse myself either by reading a book or roaming Lewin’s, the high fashion ladies store where the salon was located. I befriended, translated constantly bugged, the lady at the costume jewelry counter. She was a saint to let me hang around and try on pieces. Is it any wonder I caught the jewelry bug? One particular outing was “frosted day” and for any of you not in the know, this involved applying highlights to the nth degree to create two-toned hair. 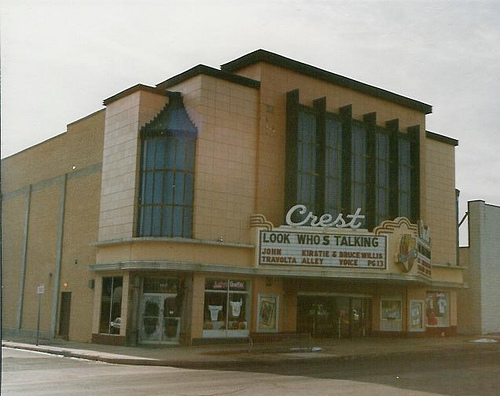 Well, frosted day meant a long day and I was a bit cranky so Mom dropped me off at Crest Theater next door to watch the kiddie matinee. We were rushed and she didn’t notice the title on the marquee had changed. 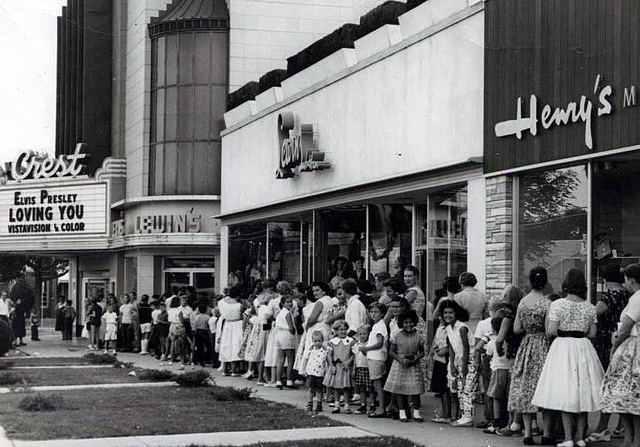 So at age 6 I settled in with my popcorn to watch Breakfast at Tiffany’s. I didn’t understand any of it. But by the end of the movie I did know three things. I wanted to move to New York, wear a glamorous black hat and learn how to whistle loudly between two fingers. Well I’ve been to New York and do have a fabulous black hat but I never did learn that whistle. 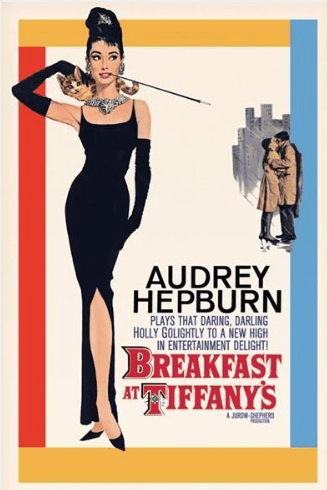 Breakfast at Tiffany’s also began a lifetime love affair with classic movies and the stylish actors in starring in them. To this day if I see one of my favorites coming up on Turner Classic or another network I try to catch it. Today I want to share a few of my favorite movies with style. So, in no particular order, here they are. 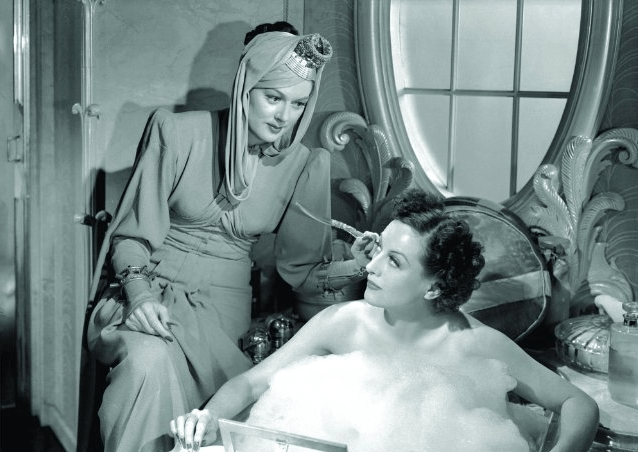 The Women, 1939 with Norma Shearer, Joan Crawford, Rosalind Russell, Mary Boland, Paulette Goddard, Ruth Hussey and Hedda Hopper. Directed by George Cukor. Get out your claws ladies it’s going to be a bitchy ride. Fabulous screen version of Mary McCarthy’s novel about bored, upper class, New York housewives who try to destroy each other’s happiness with gossip and innuendo. It’s lesson in being careful what you wish for. Crawford is excellent as the bitchy mistress and Russell is a hoot as her hench-woman. There’s a hilarious scene where everyone meets up in a high-toned beauty salon and the staff tries to keep the warring parties apart. I just love all the 30s era beauty contraptions at the salon. The movie is a fabulous tour de force by a power female ensemble and fittingly, the gossiped about husbands are never seen. The beautiful gowns are by Adrian. Sabrina, 1954, with Humphrey Bogart, Audrey Hepburn, William Holden and John Williams. Directed by Billy Wilder. Hepburn is Sabrina, the daughter of the chauffeur (John Williams) to a powerful New York family, the Larrabees. Plain Jane Sabrina is shipped off to cooking school in Paris to get over her crush on the ner-do-well Larrabee son played by William Holden. Upon her return, both brothers are astounded at her transformation and she discovers she’s actually in love with the successful, older son played by Bogart. The big question is does he love her in return? Hepburn is in fashion overload with designs by Hubert de Givenchy. Some think Katharine Hepburn and Spencer Tracy were the greatest movie team, but for my money I’ll take Myrna Loy and William Powell and this is the movie that clenched it for me. Taken from the Dashiel Hammett mystery novel, Powell plays a private detective who has retired to take over the management of his new wife’s (Loy) sizable fortune. Despite his best efforts he is drawn back on the job to solve the disappearance of the ”Thin Man”, the scientist father of a friend. 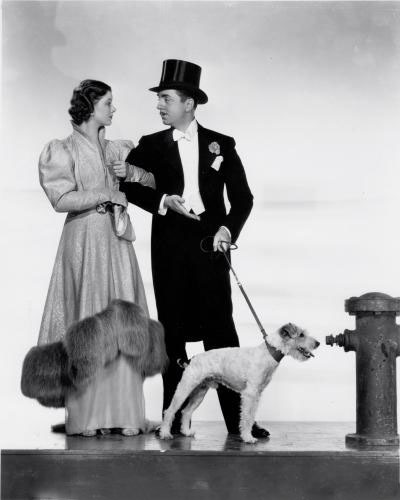 Through many twists and turns and a lot of wry comedy between Loy and Powell and their fox terrier Asta, the mystery is solved. I love the way Loy interacts with her husband’s miscreant friends. This movie spawned several sequels all worth watching but none as good as the first. Dollie Tree designed the costumes but it’s the jewelry by Joseff that really shines in this one. Rear Window, 1954, widescreen color, with James Stewart, Grace Kelly, Wendell Corey, Thelma Ritter and Raymond Burr, directed by Alfred Hitchcock. You wouldn’t think a movie about a photographer trapped in his apartment would be particularly stylish but with Grace Kelly as the girlfriend it’s off the charts. The couple and his nurse (Ritter) become totally convinced that their neighbor (Burr) has killed his wife and buried her in the courtyard. Possibly my favorite Hitchcock movie and that’s saying a lot. Costume diva Edith Head designed this one and there are those Joseff jewels once again. 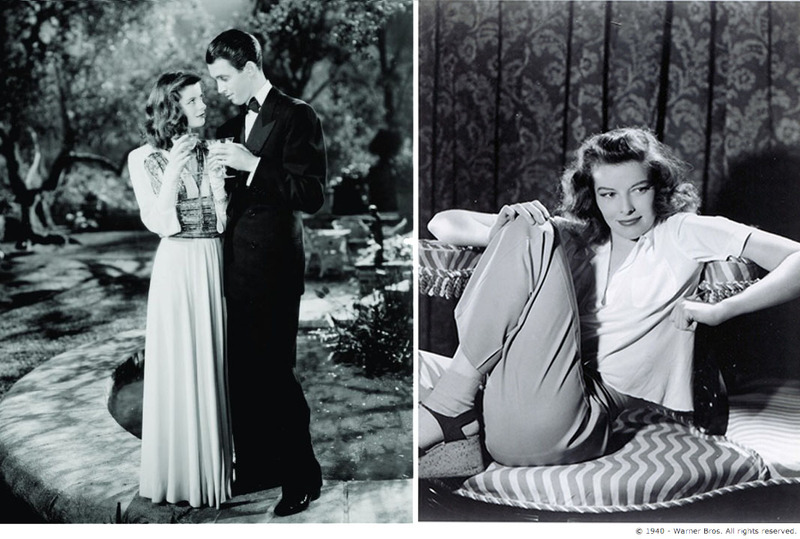 The Philadelphia Story, 1940, black and white with Katharine Hepburn, Cary Grant, James Stewart, Ruth Hussey and Virginia Weidler. Directed by George Cukor. 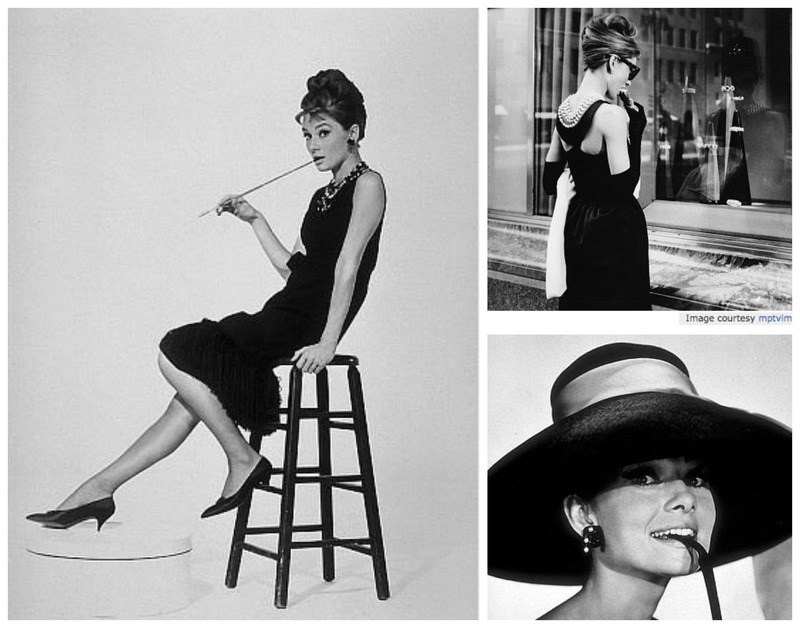 Does it get any better then Hepburn, Grant and Stewart? Hepburn recreates her Broadway role as Tracy Lord, a Philadelphia main liner about to marry for the second time to an absolute drip. Of course he’s the polar opposite of her first husband, Grant. Stewart and Hussey play a pair National Enquirer type reporters who invade the estate. 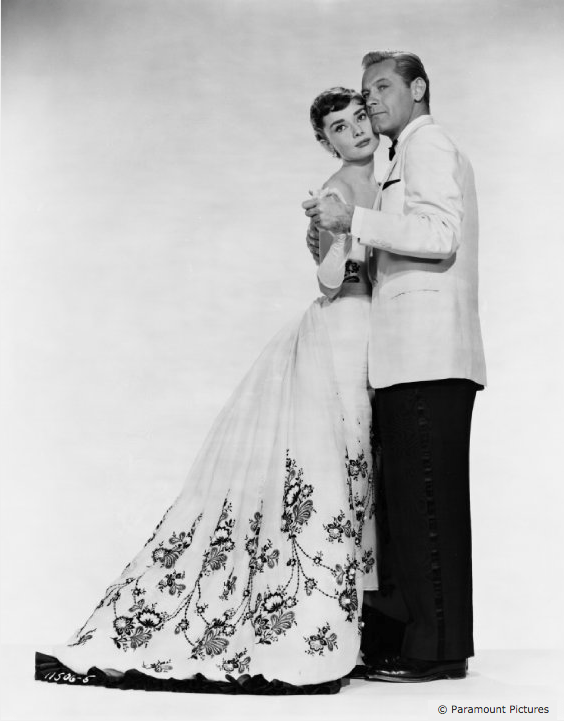 Adrian did the beautiful gowns, but what stands out is the easy style of Hepburn who practically invented slacks for women, and of course those gorgeous men. This is my favorite movie of all time. 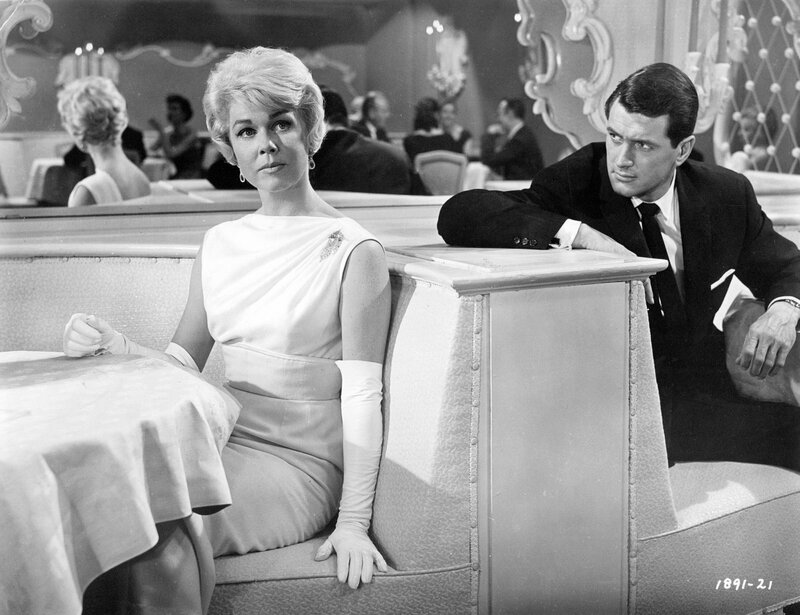 Pillow Talk, 1959, widescreen color, with Rock Hudson, Doris Day, Tony Randall and Thelma Ritter. Directed by Michael Gordon. Interior designer, (Day) and lothario (Hudson), are forced to share a telephone party line in New York. She can’t get a call through with all his girlfriends clogging the line. Ritter and Randall play the wisecracking sidekicks. Day gets to shine in one of her very few glamorous roles. As for the party line? Yes children there once was time when not everyone had a private phone line and those who did were not allowed owning their phones! Jean Louis designed Day’s knockout clothes. Not sure who did the hats but they sure are snazzy. To Catch a Thief, 1955, widescreen color, with Cary Grant, Grace Kelly, Jessie Royce Landis and John Williams. Directed by Alfred Hitchcock. Aaah, Cary Grant, Grace Kelly, the French Riviera. If only the rest of us could be this sophisticated. Grant is a retired jewel thief, trying to clear his name in a sudden rash off thefts. Kelly is the rich heiress who falls for him. This movie has it all, suspense, witty dialog and gorgeous scenery in VistaVision. Kelly met her future husband, the Prince of Monaco, while filming this picture. Edith Head is once again on costumes. Not sure who designed the marvelous over-the-top jewelry collection. And lastly, the film that started it all for me, Breakfast at Tiffany’s, 1961 with Audrey Hepburn, George Peppard, Patricia Neal, Buddy Ebsen, Martin Balsam, Vilallonga and Mickey Rooney. Directed by Blake Edwards. 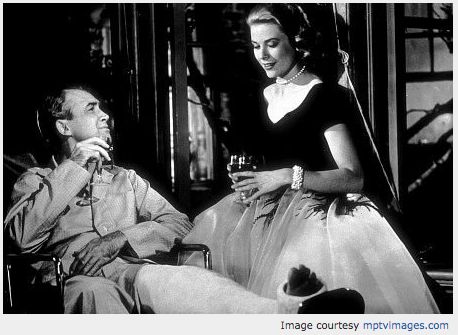 Hepburn and New York City both play starring roles in this story by Truman Capote. Hepburn plays Holly Golightly, a call girl, who in the words of Balsam “is a phony, but a real phony”. Peppard is the handsome writer upstairs who is kept by rich married lady Neal. Through a series of adventures and with the help of a cat, they find each other. Most critics say they would have preferred Capote’s original choice of Marilyn Monroe in the Golightly part and that certainly would have been a different movie. I will settle for this one. Hepburn exudes New York sophistication in her Givenchy attire and the movie boasts a magnificent score by Henry Mancini and Johnny Mercer. From the classic opening scene under the credits to the wild party sequence, this is an almost perfect time capsule of the swinging 60s except for the unfortunate scenes with Mickey Rooney as the Chinese landlord. A role that was politically incorrect even before we knew what that meant. So there you have it. Of course this is just a small portion my list but these are the cream of the crop. If you haven’t seen them please watch them and if you have, how about watching them again. Love this post – There’s nothing better than catching up with these old movies on a Sunday afternoon! I’m a Hitchcock girl and Rear Window is one of my all time favorites! A great trip down memory lane, thank you! Another winner Madge! Loved the write up about the films. Breakfast at Tiffany’s at 6 years old was an unforgettable adventure. Thanks for sharing your memories!